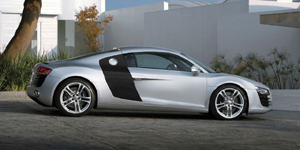 For 2009, the Audi R8 comes with a Bluetooth phone interface and a six-disc CD changer, while a new version of the 19-inch wheels is available. Find the used Audi R8 of your choice from a dealer in your area. Search our used car listings now.